As we get older, our bodies naturally begin to degenerate. We may feel that our joints are stiffer, we are more prone to illness and infection, and it takes us longer to recover from an injury than it did before. The same can be said for our pets, whose bodies are also affected by advancing age. Fortunately, veterinary medicine continues to evolve at a rapid rate. 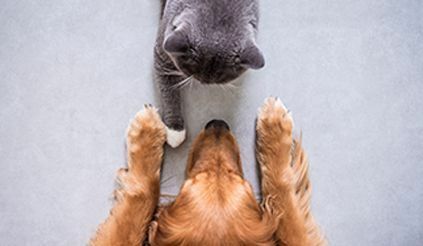 New and improved techniques and tools are constantly being discovered, and these are making treatments safer and more successful than ever before, improving the outcomes for all animals, including your senior pet. Two of the latest and most effective treatments for senior pets include cold laser therapy and stem cell care. What is cold laser treatment for pets? 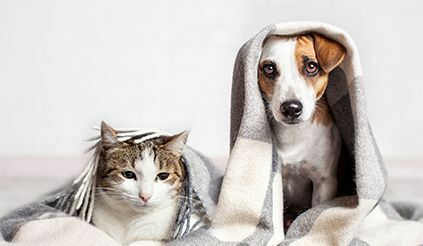 Cold laser treatment is a successful new treatment for longer-term pain relief in pets that is an alternative to oral medications and other therapies. It does this by opening the blood vessels and stimulating the lymphatic system so that swollen areas drain more easily. This reduces inflammation and associated pain. In addition to this, the laser will rouse the nerve cells that block pain signals from being transmitted to the brain so your furbaby will experience less discomfort. While this is happening, his natural endorphin production will increase, reducing his pain even further. What can pet laser therapy be used to treat? Does cold laser treatment hurt my pet? Laser treatment is extremely popular because it is entirely non-invasive and completely painless. There is no need for any incisions, the target is simply targeted onto the relevant area of your pet’s body. He may feel a little warmth and tingling, or he may not feel anything at all. He certainly won’t experience any discomfort. The process usually takes less than ten minutes, after which time you will be able to take your pet home. He should start to feel the benefits of the treatment virtually immediately. What is stem cell therapy for pets? Stem cell therapy is a relatively new treatment amongst humans. However, it is now also being successfully used in veterinary medicine. Using human stem cells, it is possible to tackle many of the disease and chronic health conditions that accompany advancing age in animals. Stems cells are unspecialized cells that have the unique ability to be able to differentiate into specialized building blocks of organs and issues. This enables them to repair damage within your pet’s body, alleviating pain and other symptoms associated with their disorder. 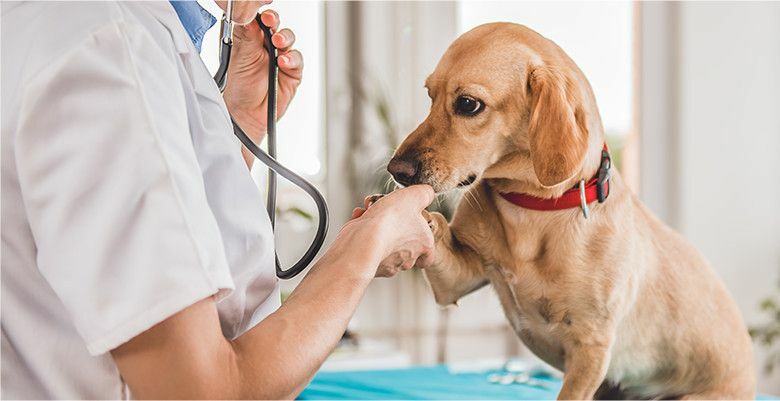 Stem cell therapy can be used as an alternative to invasive surgery, which may not always be suitable for older animals. The infusion can be given while you are sitting with your pet. This enables you to keep him calm and comfortable throughout the process. Stem cell therapy is a natural treatment, meaning no man-made combinations of ingredients or chemicals are given to your pet. There are virtually no side effects (unlike medications which have been known to cause all manner of debilitating side effects such as kidney/liver damage and anemia when used long-term). Studies have shown stem cell therapy can incite a dramatic improvement in your senior pet’s quality of life within just a couple of weeks. If you would like more information on either cold laser treatment or stem cell care, or you would like to find out if either of these therapies are suitable for your senior pet, please don’t hesitate to get in touch with our experienced team at our veterinary hospital in Roswell, GA today.